Our October meeting welcomed Charmain Case, one of the fabulous nurses from the St. George's breast care team. She spoke to us about breast health and breast care, with a focus on recognising signs that may lead to cancer and what we can do to best take care of ourselves. 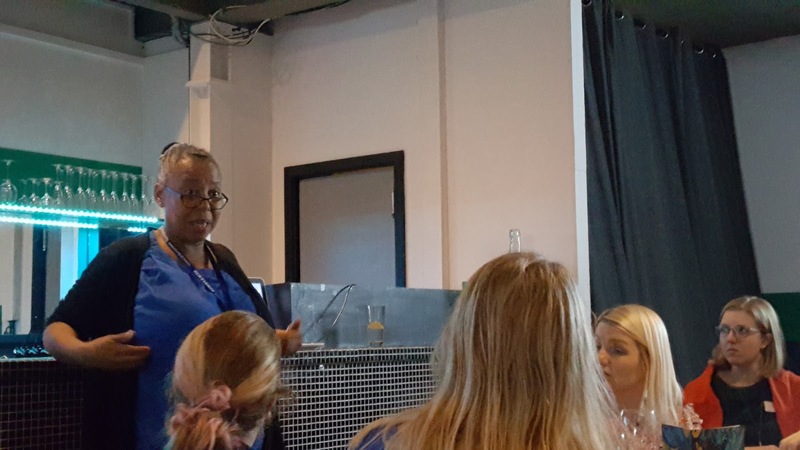 Charmain tackled this serious topic with a really friendly approach and was able to answer many questions posed by members about self-checks and the general outlook of breast care through the NHS. She was a really great speaker and we all learned a lot about how we as women can keep ourselves in our best health.